Former dominant welterweight champion Georges St-Pierre will likely make his return to the octagon later this year, but is his choice driven by money or legacy? Despite confirmation of the return of St-Pierre having dropped all the way back in March, fans are still yet to learn the when, where and who involved in one of the most eagerly anticipated comebacks in MMA history. Earlier this year the UFC announced that St-Pierre, the former dominant welterweight champion, would face incumbent middleweight titlist Michael Bisping in a bout which should have already happened. While that fight petered out due to St-Pierre’s protracted preparations and injury, it appears that Bisping will once again get his “money fight” against the Canadian legend. While there was an immediate uproar in the middleweight division in reaction to GSP effectively “skipping the queue” in landing a shot at the 185-pound champ, the welterweight division was, albeit more subtly, surprised. 170-pound champion Tyron Woodley was understandably curious to know why the former welterweight icon would choose to jump straight up to middleweight rather than fight for his old strap. Afterall, a big money fight would exist no matter what weight GSP chose to compete at, and logically, most had assumed it would be welterweight where St-Pierre would kick start his second term in the UFC. While the prospect of Georges St-Pierre openly admitting to a return to action solely to make money may carry a taboo, it is hard to argue against the idea that it is likely the case. While it was expected that GSP would return to the division where he made his name and cemented a Hall of Fame-worthy legacy, there are other factors which could be at play. For one, St-Pierre may be plotting an assault on the middleweight title in order to join the likes of B.J Penn, Randy Couture and Conor McGregor in the exclusive club of two-weight world champions. 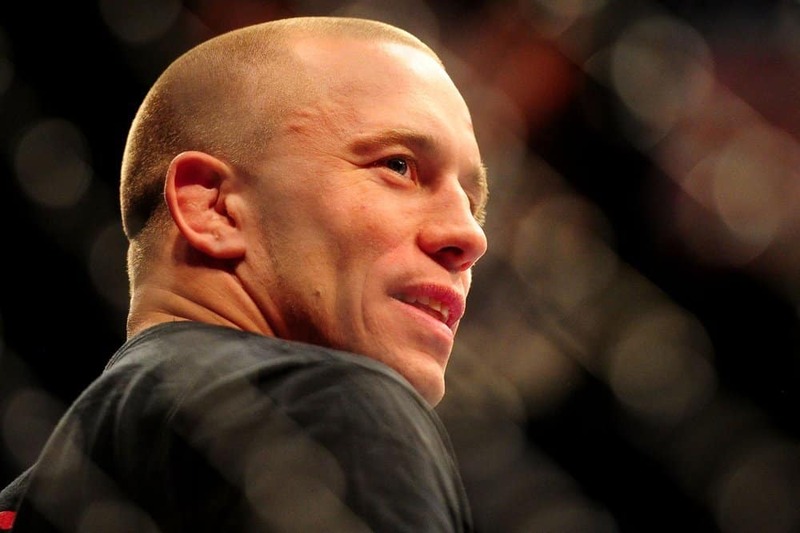 St-Pierre could also believe that he has a style which is more than capable of beating Bisping. Furthermore, an initial fight at middleweight could be more appealing in terms of his game plan for the three or four fights he is planning to have in his second stint in the UFC. There are very tangible changes which have come into play in the UFC since WME-IMG paid over $4 billion dollars for the promotion in 2016. Some pretty high-profile wage-slashing measures were carried out, with aim of simplifying the aims of vision of the company. The changes which would be more apparent to the naked eye, however, are the increase in “money fights” and interim titles over the past year or so. In terms of business, this comes as no surprise. The return of Georges St-Pierre will undoubtedly continue to cause debate – why would a champion who retired on top want to risk his legacy in a second stint in one of the toughest sports on the planet? The lure of big pay days would be enough to tempt most in his position into considering a return. GSP gets paid, WME-IMG has a superstar who is almost guaranteed to sell a good amount of pay-per-views in the absence of Ronda Rousey (and potentially Conor McGregor) and fans get to see an icon return to the cage. The only way the plan could backfire is if St-Pierre is soundly beaten, but everyone will surely be tuning in.